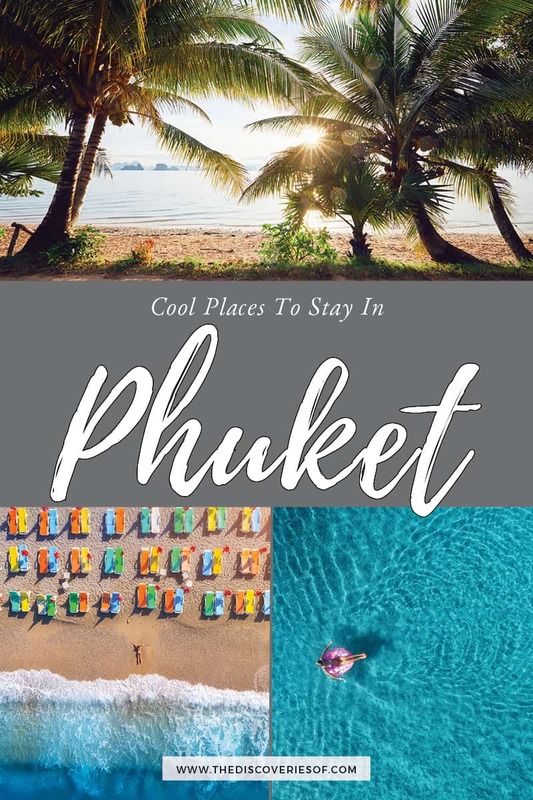 Where to Stay in Phuket: Best Places to Stay in 2019 – Discoveries Of. Phuket is one of the most popular destinations in Thailand, luring visitors in with its relaxing beaches, stunning vistas and lively nightlife. Trying to work out where to stay in Phuket? 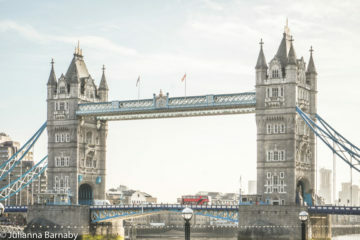 Read my step-by-step guide to help you choose the perfect accommodation for your trip. The Best Area to Stay in Phuket? Which is the Best Hotel in Phuket? Wondering which is the best area to stay in Phuket? The best area to stay in Phuket Thailand is Patong. Patong is one of the most popular areas on the island as tourists flock there year round. This area accommodates to all visitors no matter their price budget, offering beach-front views at most hotels. 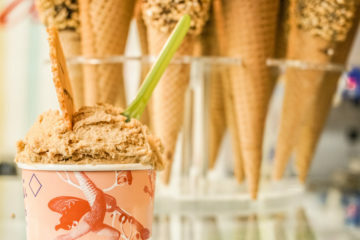 Patong is known for its pristine beach, but it also has a bustling nightlife and a variety of culinary treats to choose from for your meals. The best place to stay in Phuket is the Anantara Mai Khao in the north of the island. This all-villa escape is set a distance away from the hustle and bustle of other parts of the island and offers a luxury getaway from it all. Is there anything more refreshing than sliding open your bedroom door and hopping straight into your private pool before catching a few rays in your private sala (outdoors lounge)? If so, we’re yet to come across it. Patong is one of the best places to stay in Phuket. During the day you can dig your toes into the white sand of Patong Beach or visit one of the shopping malls close to Phuket Town and as the sun goes down the center of town lights up. Phuket Town becomes party central as go-go bars, nightclubs, and cabarets overflow the streets. It’s easy to stay in Patong no matter what your budget as there’s a seemingly endless choice of hotels. 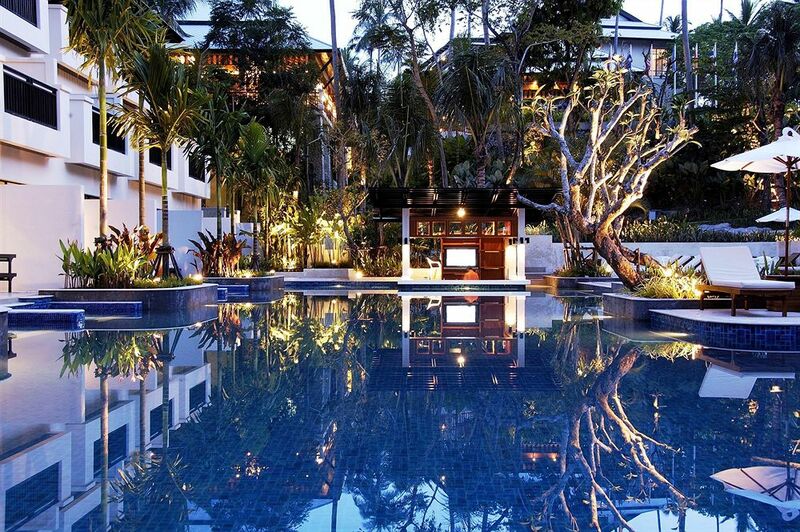 Tucked away in a secluded area of the beaches of Patong is Amari Phuket. 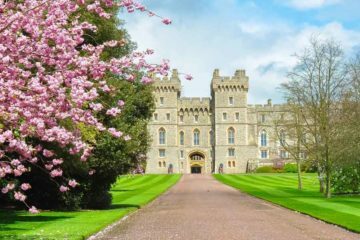 This five-star hotel is relaxation at its finest with customer service their number one priority. The views just from the lobby of the hotel are breathtaking and only get better when you’re one of Amari Phuket’s well-furnished suites. 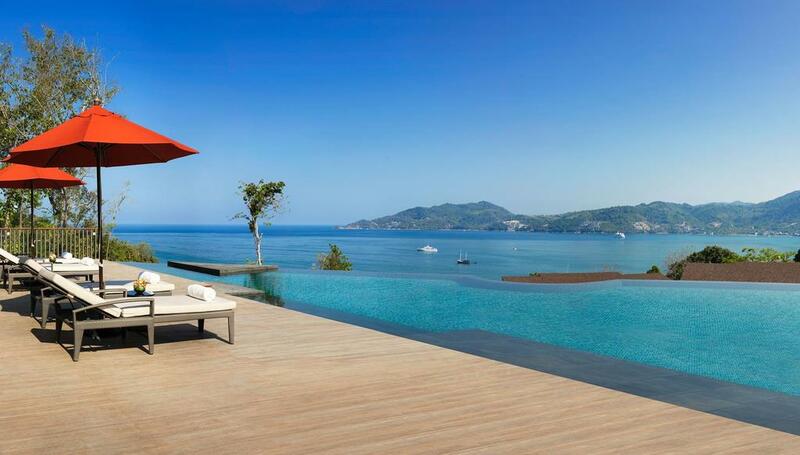 If money isn’t an issue than Amari Phuket is the place to stay. In the hills of Patong is the authentic Thai resort, Diamond Cliff. Diamond Cliff Resort & Spa is extremely popular among couples traveling together thanks to the resort’s romantic atmosphere. Diamond Cliff offers plenty to do on site: between two swimming pools, a rejuvenating spa and activities throughout the day for all ages, it’s easy to spend your whole time in the resort. 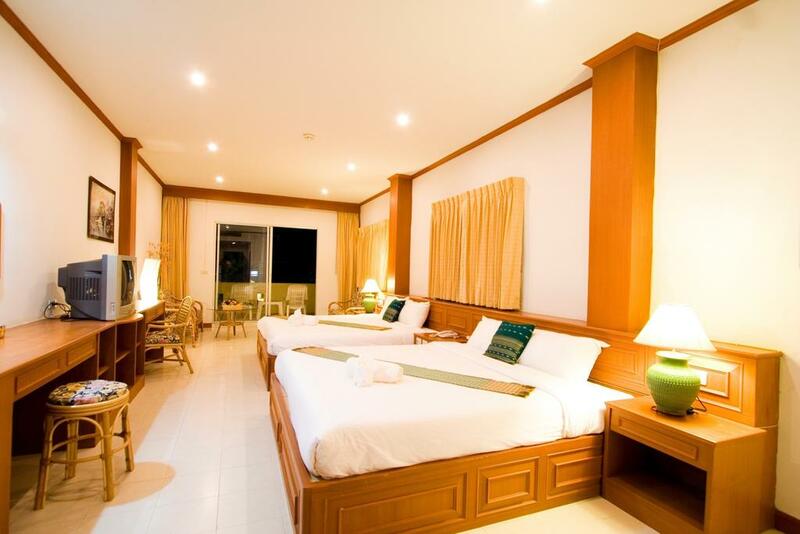 Just a short walk from the center of town and Phuket Beach is the ideal family hotel, Patong Resort. Entering the resort you’re greeted by the friendly staff with coconut welcome drinks in hand for you to quench your thirst after your travels. Book yourself in for a massage, relax on your private balcony or head out and explore the Patong area. 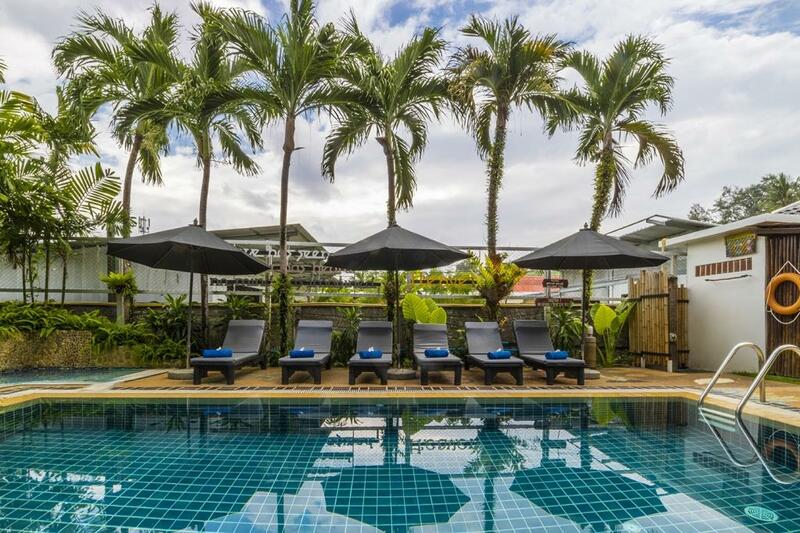 Patong Resort offers the perfect refuge from the hustle and bustle but is within easy striking distance of many of the area’s famous bars, restaurants and clubs. 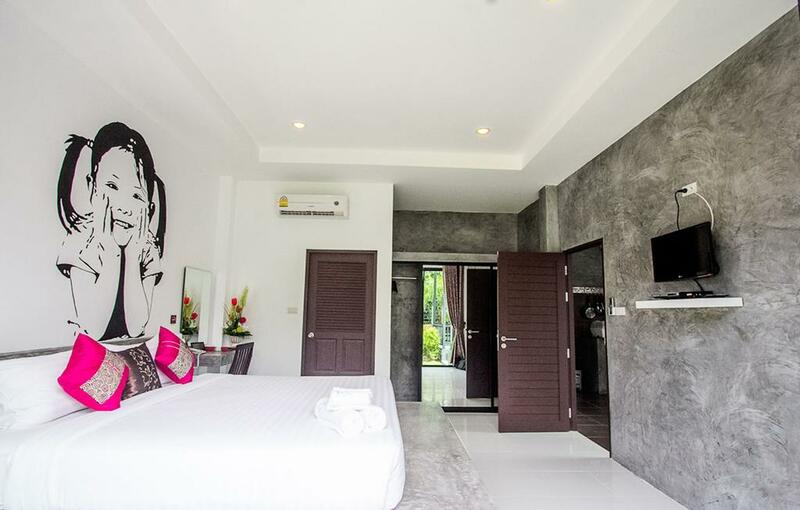 Wondering where to stay in Phuket but not keen on the livelier aspects of Patong? Unlike Patong, Karon is a quieter area and the perfect place for families and those looking to relax and not party the night away in town. Karon beach is the third longest beach on Phuket Island and features exciting sea-based activities. You’ll also find some of the best authentic Thai cuisine in Karon – don’t miss the weekly marketplace held at the Buddhist temple close to the centre. 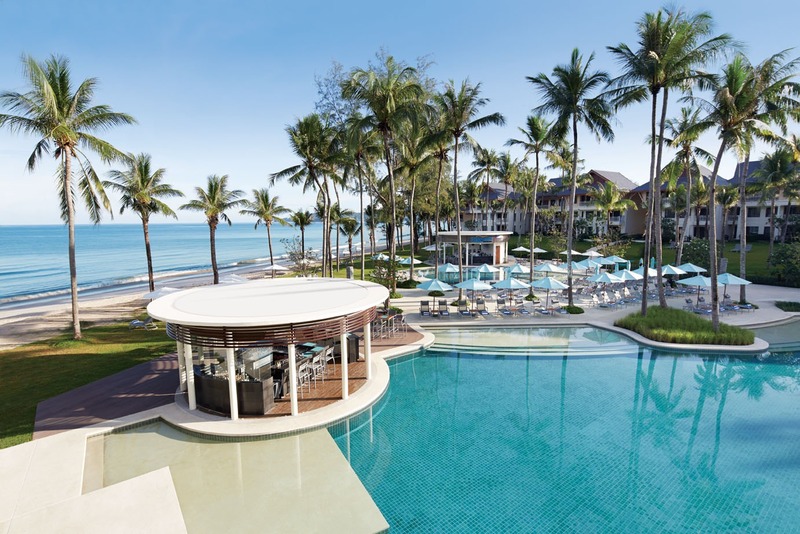 One of the grandest resorts on the list is Le Meridien Phuket Beach Resort. 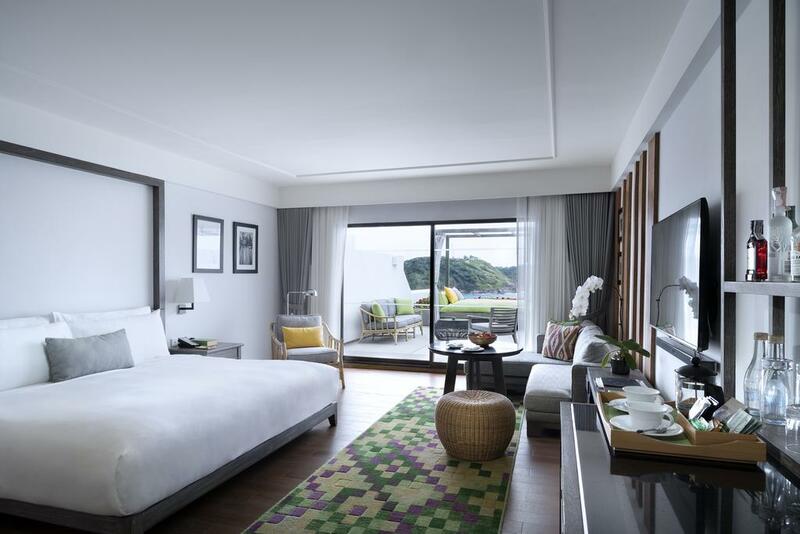 Taking over about 40 acres and surrounded by Phuket’s greenery, Le Meridien Phuket Beach Resort has 417 suites, two swimming pools, four tennis courts, and more. Rooms are airy and spacious and it’s set on a nice stretch of beach that’s perfect for soaking up the sunshine. Situated not far from the beach is the four star resort, Horizon Karon Beach Resort & Spa. The resort is surrounded by luscious greenery creating a peaceful environment for guests. For couples looking for a decently priced place to stay in Phuket, Horizon Karon Beach Resort & Spa is a great place to consider. 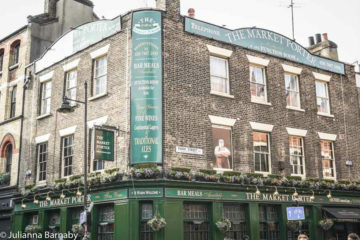 The food and drinks are highly praised as well as the friendly staff. 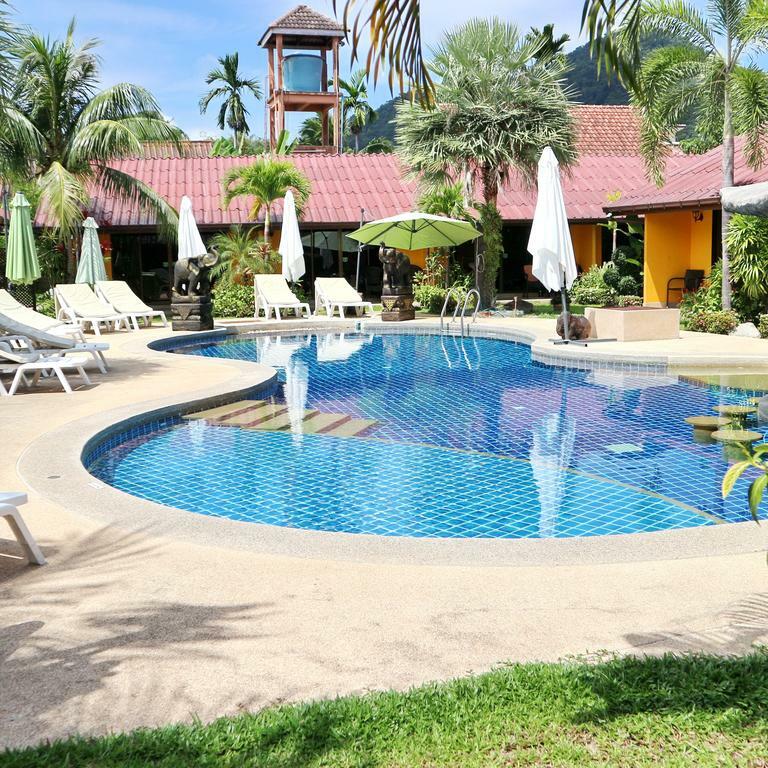 A great place to stay on a tight budget while visiting Phuket is Baumancasa Beach Resort. The seaside resort has 235 rooms all designed with a modern Asian contemporary emphasising comfort for all its guests. Every little detail to make your stay at Baumancasa Beach Resort has been thoroughly thought out – making for a pleasant and attentive stay. Looking for a tranquil experience? 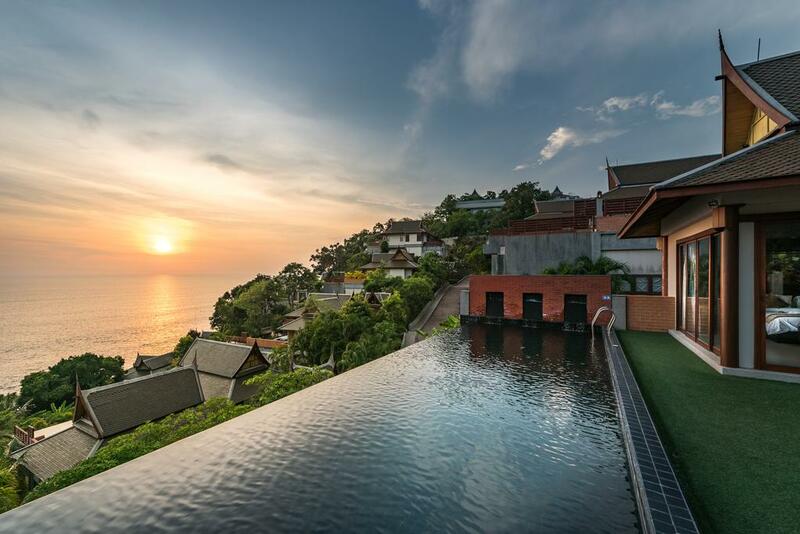 Bang Tao Bay is the place to stay. Located on the west coast of Phuket Island, Bang Tao Bay is a peaceful area and not overflowing with tourists like some other parts of the island. This is an area where the majority of your time may be spent at your resort – it’s a fair distance to take day trips to other parts of Phuket. Want more information? Check out these travel tips for planning your trip to Phuket. One of Bang Tao Bay’s highlights is that you are surrounded by locals and don’t have to walk far to watch residents participate in ancient lifestyles of fishing, farming, and rubber tapping. The Pavilions Phuket is one of the best places to stay in Phuket, thanks to an idyllic location overlooking Layan Beach. This adults only resort in Phuket is often named as the best hotel in Phuket for couples. This section “Sunset Coast” more than lives up to its name – but The Pavilions makes an impression at any time of the day. Guests are encouraged to create their own perfect holiday with a series of personalised in-villa holiday experiences. Cooking classes, guided yoga sessions, even underwater photography classes – the experiences make for a memorable holiday. Not so keen? Each villa comes with a private pool, perfect for spending lazy days with a cooling cocktail in hand. For a premier beachfront setting Outrigger Laguna Phuket Beach Resort is the perfect place to stay in Phuket for couples. Spacious rooms are paired with a simple, understated decor and super-comfortable beds that you won’t want to get out of. Guests have a breathtaking view of the glistening blue lagoon while enjoying the Thai inspired dining that is available on the property. Unlike most resorts in Phuket, Bangtao Beach Chalet is a low rise resort in tucked away in Bang Tao touching the rural Thai greenery surroundings. This cozy resort is one of the best places to stay in Phuket if you’re not trying to spend an obscene amount of money, but still want to stay in a great hotel in Phuket. The bungalows are simply furnished and are a short walk to the beach. The 32 room resort, Andaman Seaside Resort, is one of the best low priced resorts bordering Bang Tao Beach. Guests can take a break from the sandy beach to relax by the swimming pool in the center of the property. If you don’t mind small quaint suites with a friendly staff then Andaman Seaside Resort is the place for you. The fishing village of Kamala is one of the lesser developed areas of Phuket Island. If you’re wondering where to stay in Phuket and are looking to get a little off the beaten track, Kamala’s a good choice. The town offers peace and quiet to travelers looking to relax in an intimate area. Along the 2 kilometer beach you won’t find public facilities like you’d find in Patong – only a few bar and restaurants, but the remoteness is very much a part of the area’s charm. 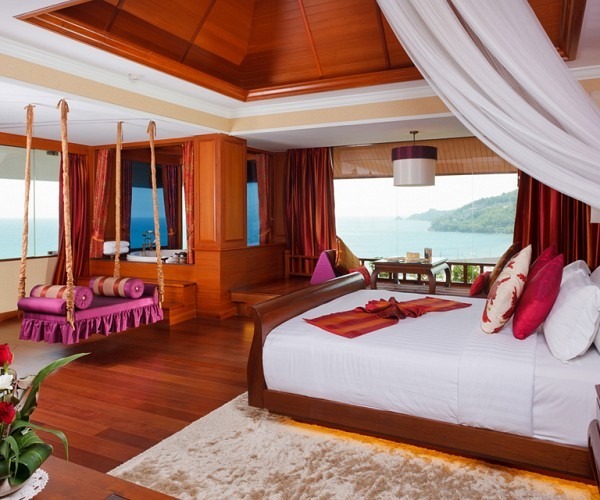 A perfect place for couples to stay while visiting Phuket is Ayara Kamala Resort & Spa. This romantic resort focuses on guests finding a sense of tranquility during their stay. The resort, located on a remote hillside, is worth the stay if money isn’t an issue. 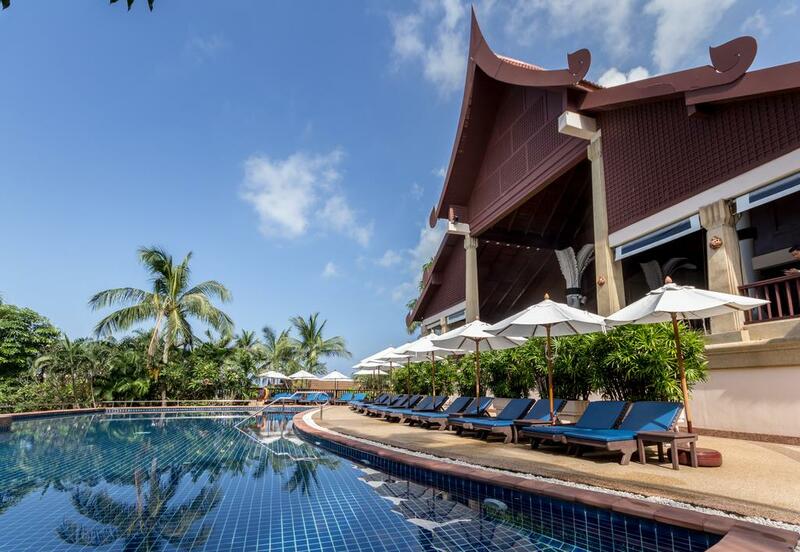 Along the Kamala Beach is Novotel Phuket Kamala Beach, a modern resort with plenty of views of the Andaman Sea. 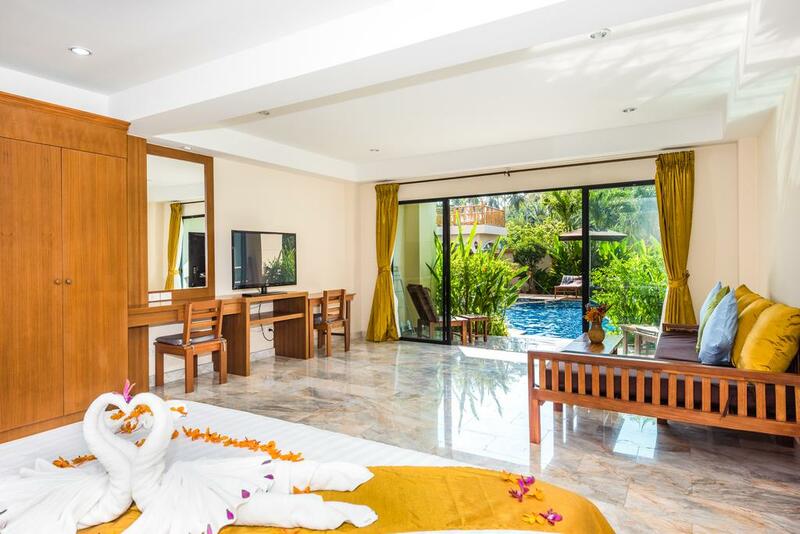 This resort is perfect for those looking to stay in Phuket and not break the bank on booking a place to stay. Novotel Phuket Kamala Beach has one restaurant and three bars on the property for guests to enjoy. Only a few minutes away from the beach is Kamala Tropical Garden. This low budget resort may not have a view of the beach front, but from every room you’re guaranteed a poolside view. The staff are friendly and always available no matter the time if guests need assistance. Although you’re a distance away from Patong’s nightlife there are plenty of bars and restaurants down the road from the resort. The charm of Nai Harn Beach tends to be overlooked by many travelers, but it is one of the best areas to stay in Phuket if you’re looking for a mix of solitude and nightlife. Nai Harn Beach has very few tourists populating the beach leaving you to relax in silence enjoying the clean turquoise sea but you’re only a twenty minute drive to the lively Patong nightlife. A grand secluded sanctuary, The Nai Harn Resort overlooks the Nai Harn Bay from almost every visible angle. Every one of the 130 guestrooms features a view of the bay and the boats that sail through the water. The staff accommodates to the needs of guests and are always surprising guests with thoughtful gestures. 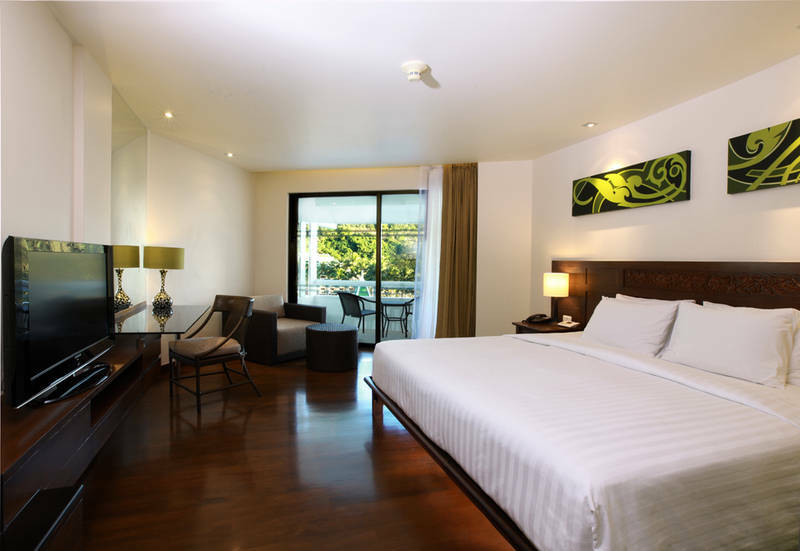 Opening in late 2014, The Windmill Phuket Hotel is another great place to stay while visiting Phuket. The hotel is within walking distance to Phromthep Cape where you can watch the sunset along the bay. This is a great hotel for families visiting Phuket as it’s not in the middle of the crowded city and the rooms are large and spacious. Perfect for those on a budget is Alphabeto Resort. 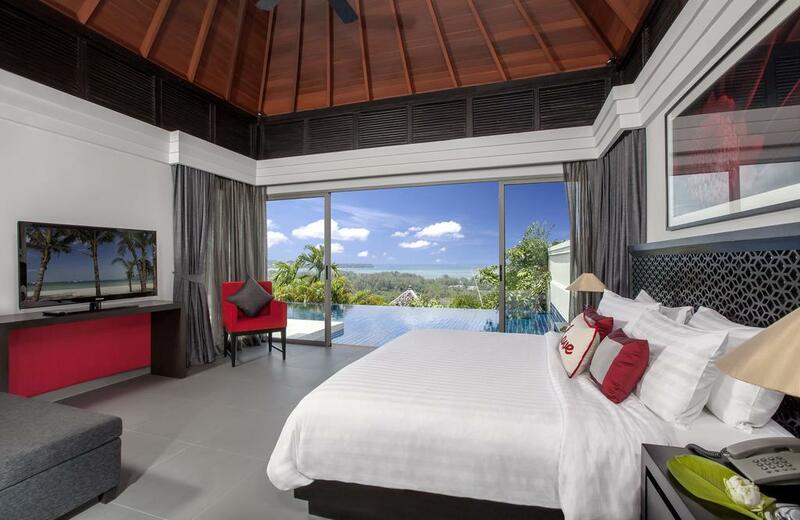 This charming modern resort offers 22 rooms and 8 villas. It’s the perfect spot if you’re looking for a comfy place to rest your head after spending your days exploring Nai Harn and the rest of Phuket. There’s not very much to see and do in Mai Khao, so this is truly the best place to stay in Phuket when you really want to get away from it all. On the north-west of the island, Mai Khao is blessed with long, quiet sandy beaches and beautiful views. It’s also close to the airport, so you can hop from your plane to the beach in the shortest time possible. The Anantara Mai Khao is a tranquil escape tucked away behind a particularly quiet section of Mai Khao beach. Lanna-style villas come with private pools, sun decks and lots and lots of space. The Anantara Mai Khao is my choice of the best luxury hotel in Phuket. It’s my favourite hotel on the island, thanks to its combination of privacy, comfort and luxury – not to mention its position on the absolutely stunning Mai Khao beach. 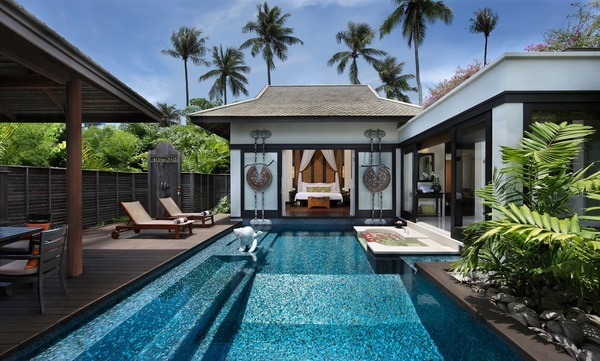 Check prices, reviews and availability at the Anantara Mai Khao. Phuket’s airport is served by a decent range of international flights. You should still compare prices to see whether it’s more cost-effective to fly to Bangkok and transfer from there. 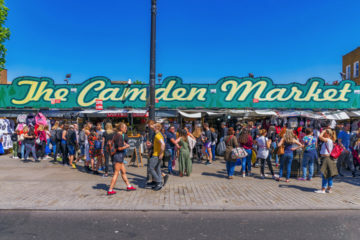 Check flights on Skyscanner. Unless you are staying in one of the more developed resorts, it can be difficult to get around the island. If you stay in a remote area, check whether your hotel provides transfers and how much they cost. 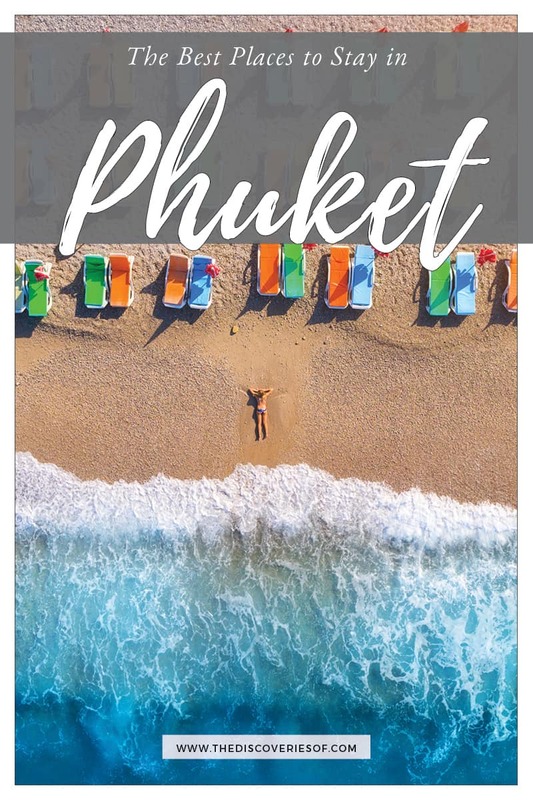 Phuket is a great destination to incorporate into a longer Thailand itinerary as it’s well served by flights and buses. Want to see a different side of Thailand? I’d recommend splitting your time between Phuket, Chiang Mai and Bangkok. Read more Thailand travel guides and tips.